This is a relatively simple build, only 16 parts in total and only the back sections are large. Cut for a standard Flashforge/Prusa/Wanhao/CTC/replicator build plate, it is scaled in line with the Storm Trooper helmet and Episode 7 helmet I have done, and those have been printed around 70 times by people, so as far as a generic fit, we are doing very well. Like all our suits and armor, this is Hi-res and low price! We are keen to establish ourselves as an affordable solution to 3D printing costumes and the more you support us, the lower we can keep the pricing. 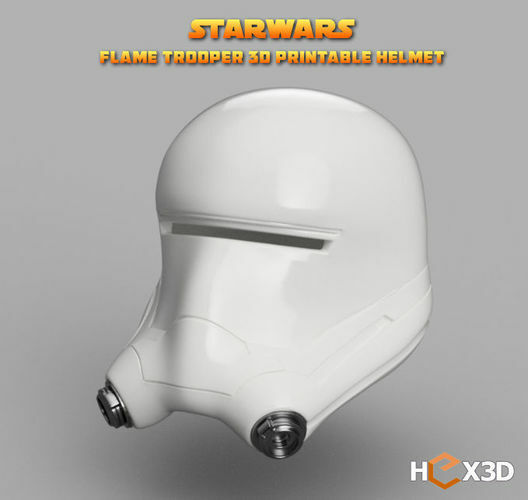 The entire suit is also available here: https://www.cgtrader.com/3d-print-models/art/scans-replicas/starwars-flame-trooper-3d-printable-costume Good Luck printing, and as always, May the Schwartz be with you.